v2.55 Update has been completed earlier than expected! 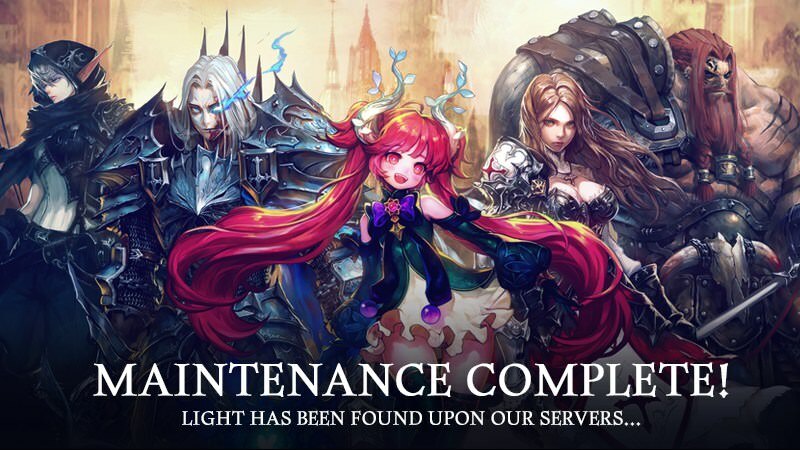 We will be undergoing maintenance to bring Heir of Light 2.55 Update! Please be advised that the game will be unavailable during this time. ** Please note that maintenance duration and details are subject to change without notice. Last edited by CM_Heylel; 02-07-2019 at 06:24 PM.